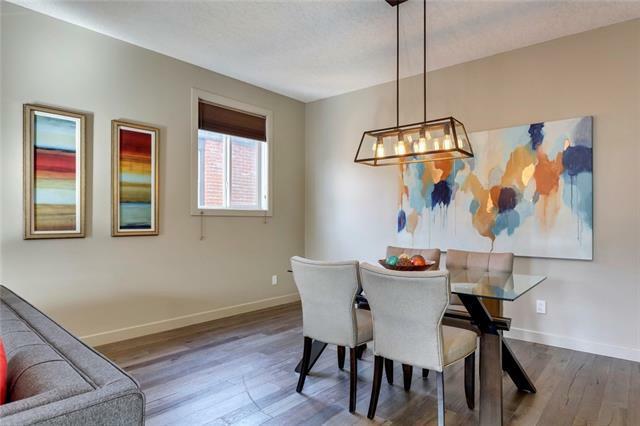 Welcome to the Mantra Building, located conveniently just off of 17th Avenue SW and all that it has to offer. 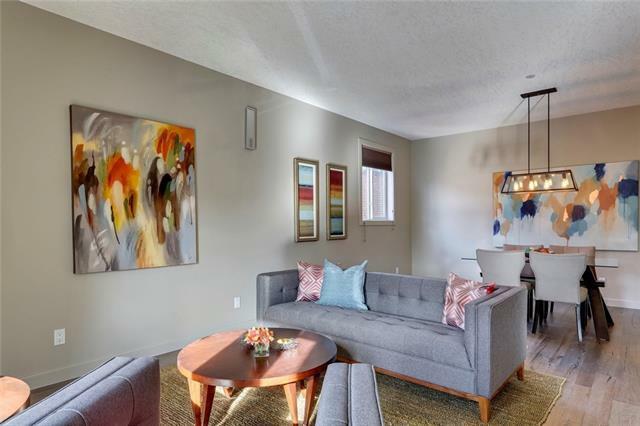 This south facing 2 bedroom, 2 bathroom condo on a quiet corner of the 3rd floor has recently been re-painted and has brand new engineered hardwood floors installed. 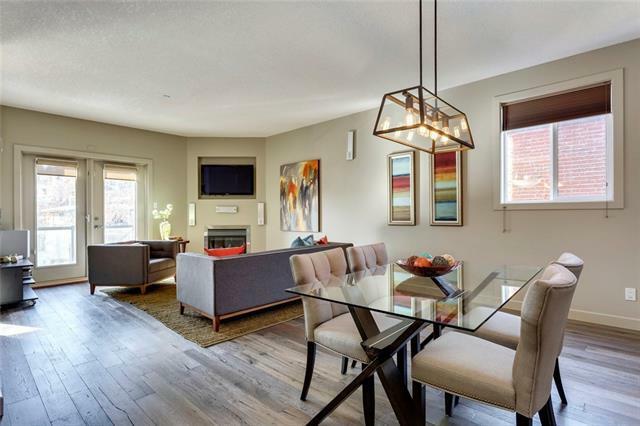 Sleek black granite counter-top, stainless steel appliances and great cabinet space in the kitchen start the open concept living plan that opens to the expansive dining room and living room combination. 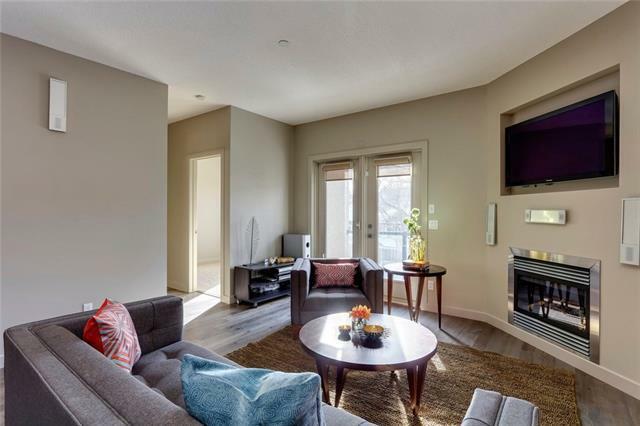 Large South and West windows flood this space with natural light, and the cozy corner gas fireplace really add to the ambiance of this unit. The master bedroom features a walk-in closet and an ensuite with a recently added walk-in shower. The additional bedroom also has great natural light and is located on the other side of the unit from the master. A secure, heated, underground parkade with visitor parking is a great feature of this building. The location and appointments of this gorgeous condo do not get any better than this.